Mountings serves as a support, setting, or backing. 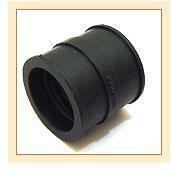 Rubber mountings are very popular, available in various shapes and sizes and easily installed. Mountings are moulded in oil-resistant elastomer. They are coloured for load identification. They provide an economic solution for many applications. Mountings are specifically designed to give high resilience at low loads. The rubber mount design allows high deflection. Rubber mountings are compact in weight. Mountings made of rubber because they have tight tolerances on dynamic stiffness rate for accurate vibration calculations. They have wide load rating options. Rubber mounts have corrosion protection by which they can cope with arduous environments on land or marine applications. Rubber mounts are ideal for applications which involve isolation of low frequency vibrations in all planes. Rubber mountings are also suitable for shock attenuation. This is possible due to the designed ability which gives large deflections while providing passive vibration on electronic instruments, measuring equipment, test cells etc.